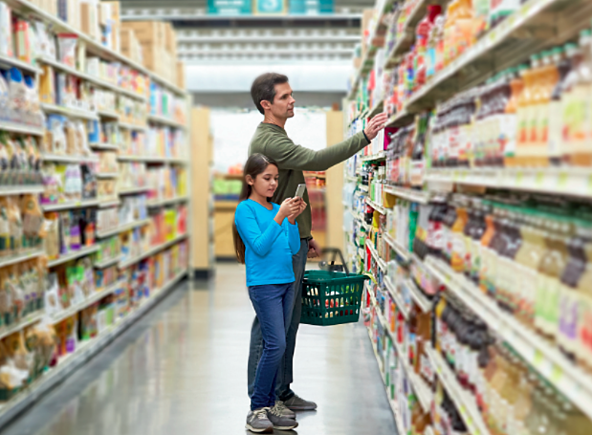 A recent Nielsen report identifies four distinct consumer groups that are reshaping shopping trends in the food and beverage industry. Each consumer segment differentiates age groups, lifestyle, household type, and digital use. In addition, the report provides useful insights on how to meet the different segments of shoppers where they are — or more accurately — where they like to eat. The shift in shopping behavior, while different among each consumer segment, together reveals the overall blurring of lines among restaurants, supermarkets, online restaurant delivery, and convenience stores. The consumer segments identified by the Nielsen report include the following: Traditionalist Food Shoppers, Restaurant Occasion Lovers, Digital Adopters, and Multi-Channel Adapters. When appealing to digital adopters, for example, grocers can hone in on the segment's attraction to digital ordering and delivery by offering online grocery shopping. It can, like Kroger, incorporate meal kits to its offerings, for pickup or delivery. If a grocery store is trying to attract restaurant occasion lovers, it might build restaurants inside its stores, as Hy-Vee has done.